Come find everything you need to enjoy your time away from home with this rear entry 18QB Autumn Ridge Outfitter travel trailer! Before you head indoors come check out the exterior. 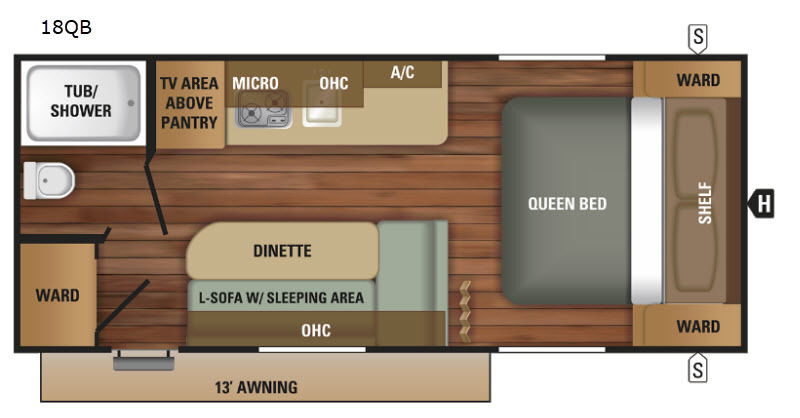 You will enjoy the exterior storage for all of your outdoor camping gear, plus there is a 13' awning which provides plenty of shade from the sun. Inside to the right of the door there is an L-sofa where you can eat your meals or in the evening play a card game or two here. The sofa can double as a sleeping area for your kids. 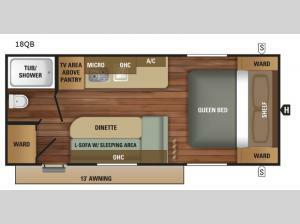 Mom and dad will find a queen bed in the front with an accordion door which provides privacy.